Great riding on varied terrain, staying overnight in the hamlets of Old Radnor & Bettws. We all look forward to welcoming you on The Hergest Trail. 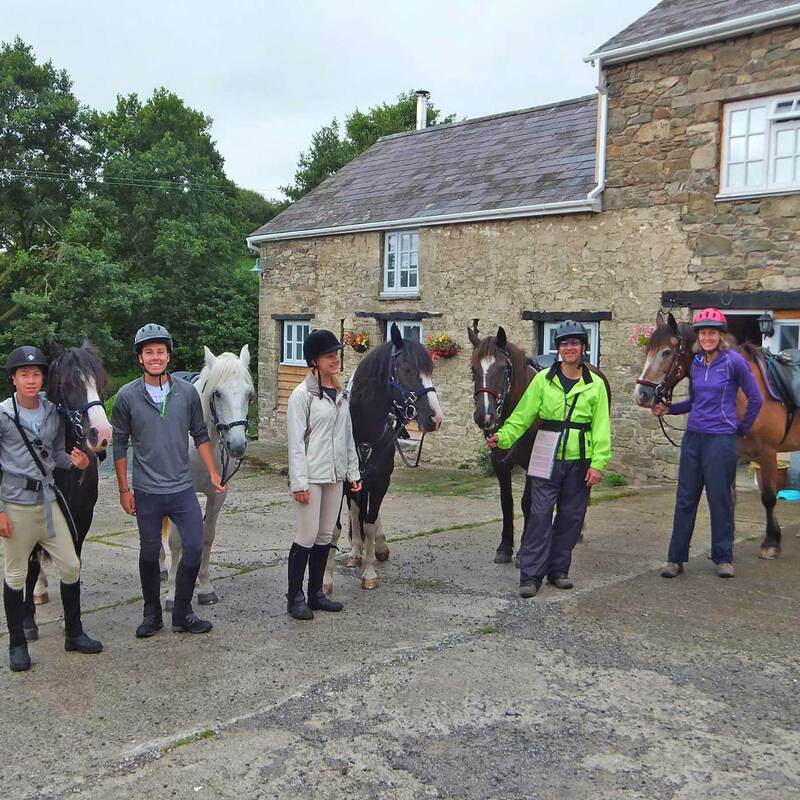 The Hergest Trail is a three day trail ride staying at Old Radnor near Kington on the first night and then either Bettws Mill B&B, Glanoer or Little Bettws Guest House in Bettws just north of Hundred House on the second night. The Hergest Trail combines spectacular trail riding with quality overnight accommodation. 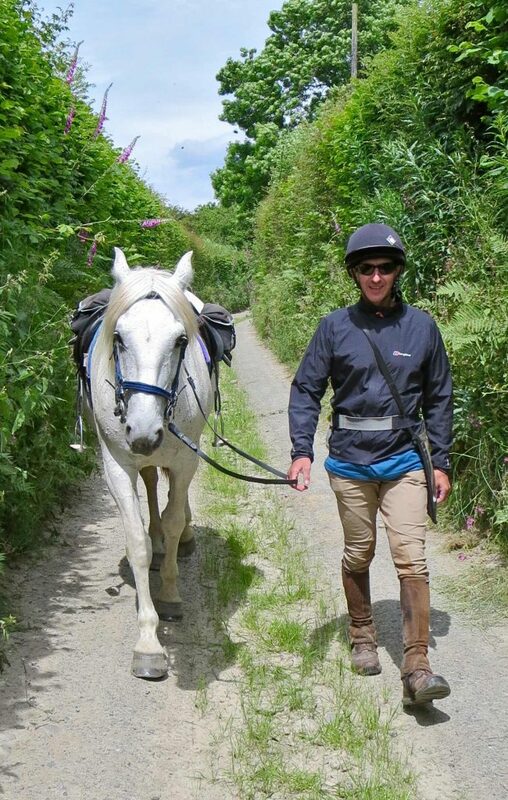 On the first morning of your horse riding holiday you’ll arrive at Freerein HQ to pack saddle bags, go through maps and routes and of course collect your fit and friendly GGs. This trail is three medium to long days in the saddle. Explore Offas Dyke & Hergest Ridge . . . The first day of the Hergest Trail takes you past the Royal Oak in Gladestry. Take lunches and tie up somewhere along Offas Dyke after Newchurch or for an early nibble on Newchurch Hill by the old railway carriage. 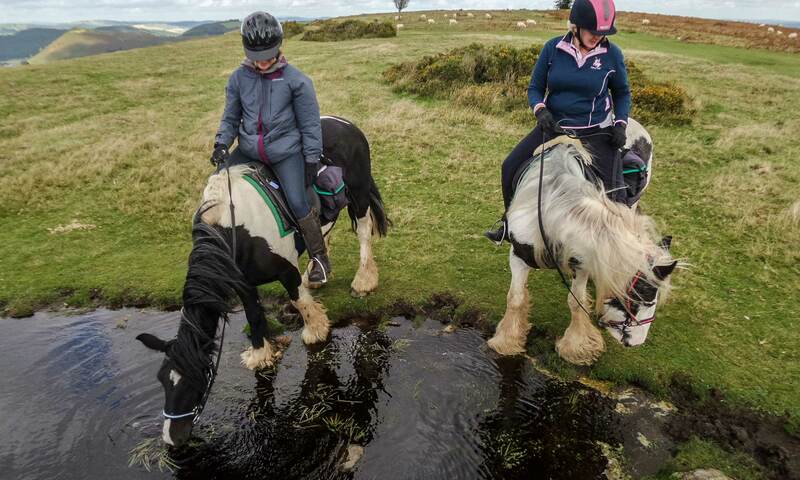 Lots of good canter opportunities along Offas Dyke and Hergest Ridge. One of the many highlights of this route is the part of Offas Dyke which takes you along the Hergest Ridge of Mike Oldfield’s Tubular Bells fame. Then take the exhilarating steep track which leads you to Old Radnor. On day two there is a choice of routes – for a good long day head up to the top of Harley Dingle and on through the Radnor Fforest, you will need to trot out the old lanes and enjoy a canter on the hills, or for a shorter day ride along quiet country lanes and skirt the edge of Burl Hill to arrive at the Red Lion Inn for lunch time. Both routes then meet at the mysterious Four Stones, from here head directly west dropping down from the open hill and follow a variety of old green lanes to the tiny hamlet of Bettws. Here you rest the night at either Bettws Mill B&B, Little Bettws or Glanoer Guest Houses. Your friendly and attentive hosts enjoy looking after Freerein riders. A real home cooked meal can be enjoyed with a beverage or two. Please remember to bring any alcoholic drinks you require and we will drop them off with your luggage as guest houses are not licensed. Late Homeward Lunch . . .
Having enjoyed a night in a field next to the accommodation your horses will be keen and eager to get going on trail for the third day. Making an early start your different route for the next day takes in Aberedw Hill then the option to lunch at Roast Ox Inn on the return route. Arrive at Freerein HQ 8-30AM. Meet horses and check your maps and routes. Out on trail all day. Stay overnight at Old Radnor, Bracken Ridge B&B & Harp Inn. Catch and prepare your horses. Out all day, option to lunch at an Inn, stay the night at Little Bettws, Glanoer & Bettws Mill Guest House's. Catch and prepare your horses. Out all day on trail. Return to HQ 4-5pm for tea & cake. What a great ride with fabulous accommodation . . .
Horses and riders pose outside Glanoer guest house before heading out on the final day of their trail!